The Fairchild PT-23 now on display at the Air Zoo in Kalamazoo. (Image by Jay Bess). Warbirds News contributor Jay Bess recently had the opportunity to visit the Air Zoo, in Kalamazoo Michigan. They literally rolled out the red carpet for him. Marketing and Communications Manager, Patrick Brent spent a good part of his day showing Bess this incredible museum. Bess had the opportunity to visit the Air Zoo’s extensive archives, and behind the scenes collections, along with new exhibits, Warbird favorites and their incredible restoration facility. He also had the pleasure of meeting the Air Zoo’s Senior Conservator and Head of Restoration, Greg Ward who has been with the museum since the 1980’s. WarbirdNews will have several articles covering our visit to the Air Zoo in the coming weeks, but first a little background on the world-renowned institution. Pete and Sue Parish founded the Air Zoo during the late 1970’s. The husband and wife team were both WWII veterans. Pete was a Marine Corp aviator, and Sue a WASP. After the war, they left flying behind for a while. However, both Pete and Sue realized their love for Warbird aviation over time, and started to collect some favorite aircraft from their early flying days. Their hobby became a growing personal collection of WWII’s finest aeroplanes, until a friend approached them with the offer that he would donate his rare Grumman F8F Bearcat if the couple would open a museum. 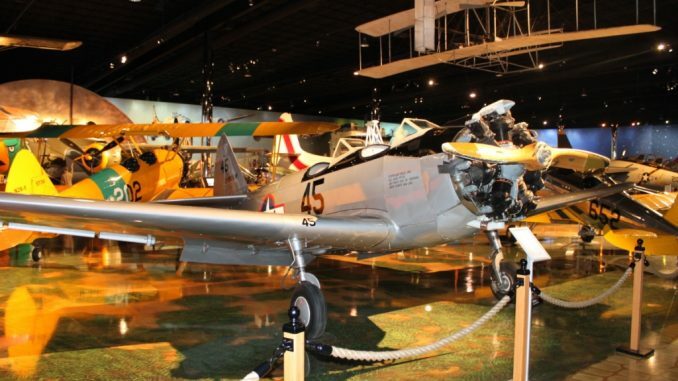 Since the first fighters in the stable included a Hellcat, Bearcat, Wildcat and a “Flying Tiger” (Sue’s famous “pink” P-40 Warhawk) the name “Air Zoo” stuck and grew through the years to include Tigercats, Corsairs and many others. The museum has received many accolades over the decades, and formed relationships that have allowed it to grow and expand. In 2002, after a year-long process, they became a Smithsonian Institution Affiliate. Realizing that in the present competitive climate the museum needed to evolve if it wanted to effectively win a family’s attention and much needed funds, the Air Zoo embarked on an incredible transformation into a “museum of the future”. 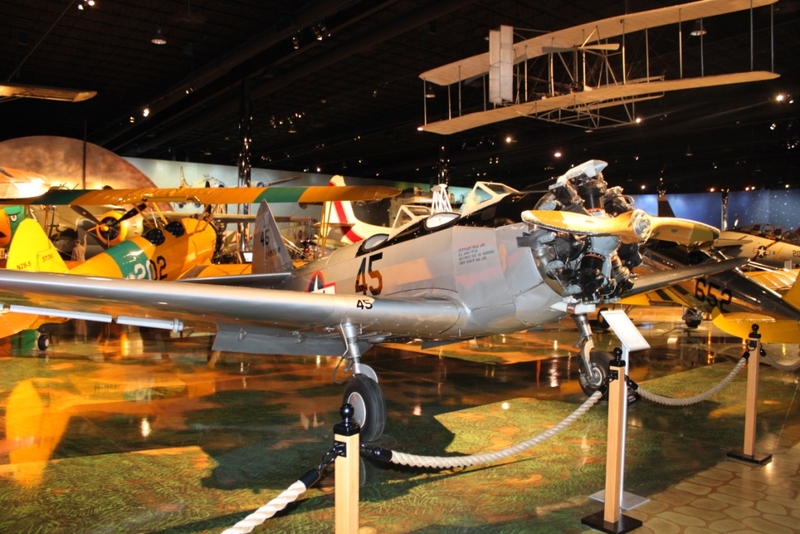 They opened a new 120,000 square foot interactive facility which features full-motion flight simulators, a Paratrooper Jump, a Century of Flight Ferris Wheel, the Michigan Space Science Center, the Corsair Challenge, 3D/4D Theatres along with incredible, historic aircraft displays. All of this tremendous change and growth has allowed the museum modify their original building into Warbird Restoration Heaven. They have several projects underway at the moment, including the most recent Grumman Wildcat to emerge from the deep waters of Lake Michigan. The US Naval Aviation Museum awarded the Air Zoo the honor of restoring this Wildcat based on their first-class restoration of a Douglas SBD-3 Dauntless which had also emerged from Lake Michigan. Warbirds News will cover the history and restoration of these aircraft in another article, but for this first piece, we’d like to focus on the restoration of another great plane in the Air Zoo collection, their Fairchild PT-23 Cornell. This restoration, among several others, is the reason why the Air Zoo gained the trust for projects like the Dauntless and Wildcat. It’s also the story of how these aircraft survived the war only to suffer the indignity of abandonment in civilian life which left them on the very brink of annihilation. Their very survival and resurrection are due to the individuals and museums who create the facilities and earn the funding preserve them, and the people like Greg Ward, who are dedicated to restoring and keeping the history alive for future generations. With permission from the author of this original article, Gerard Pahl and the Air Zoo, here is the story of their Fairchild PT-23: (CLICK BELOW FOR THE NEXT PAGE).